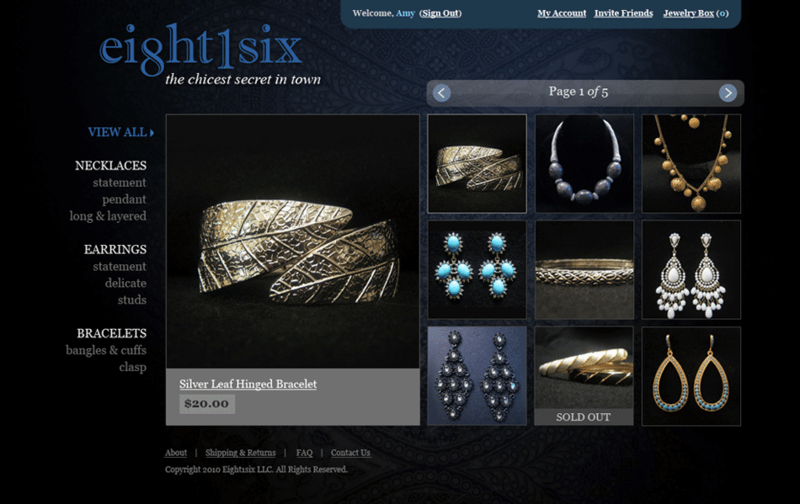 eight1six is an online fashion jewelry boutique that offers its members exclusive access to a constantly refreshed selection of eye-catching fashion jewelry. 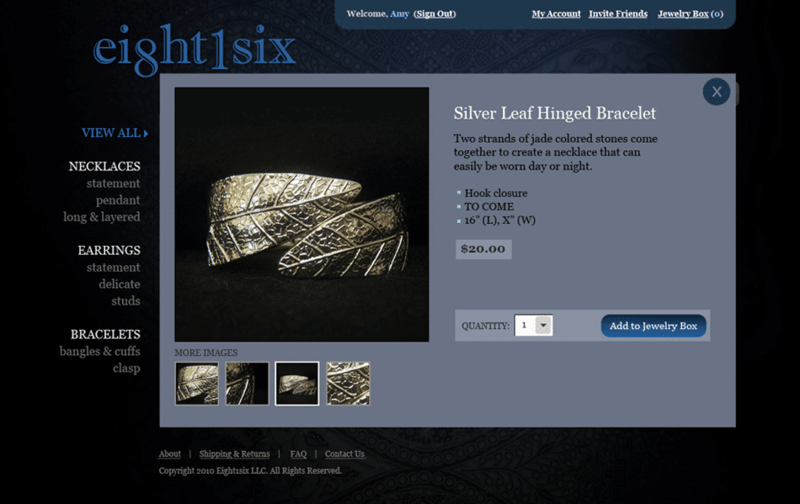 eight1six partners with the designers that supply chic fashion jewelry to upscale retailers, and brings their in-season merchandise direct to consumers, like you. 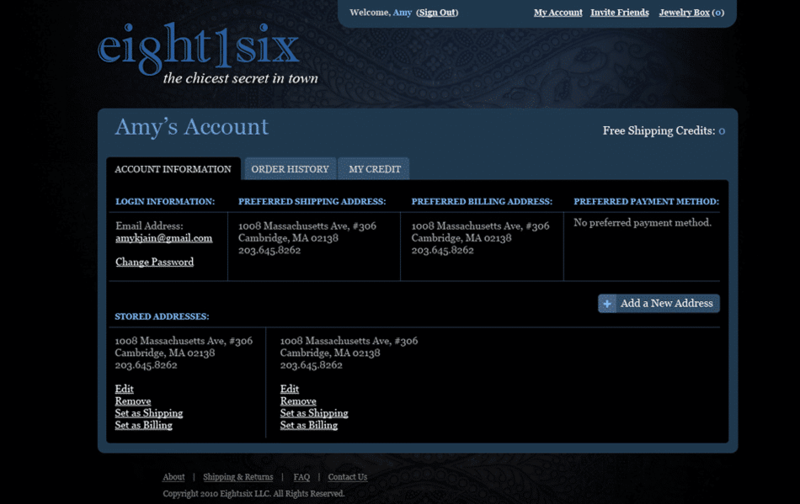 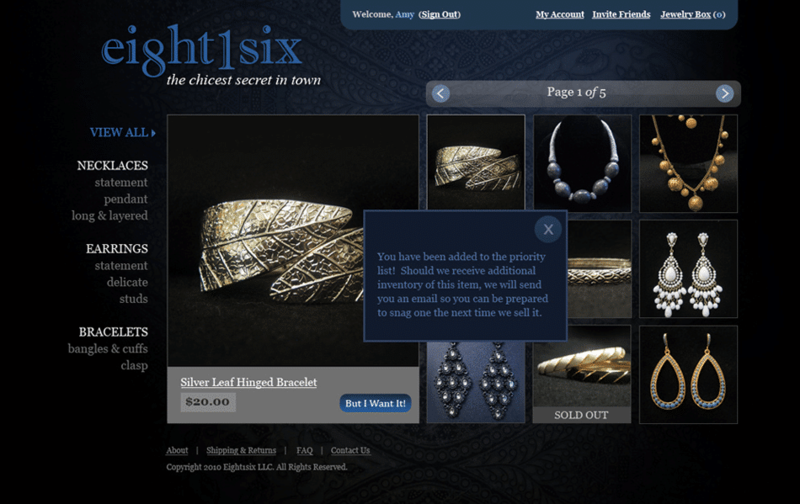 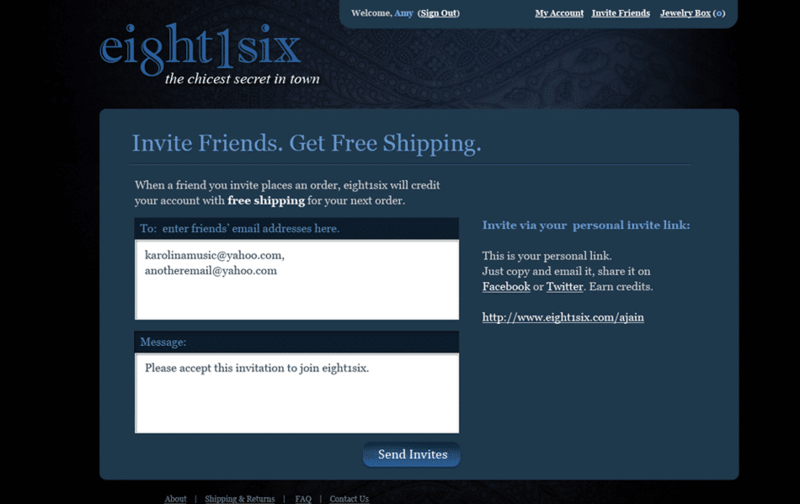 GoingClear Interactive leveraged custom web development to build the web app for eight1six. 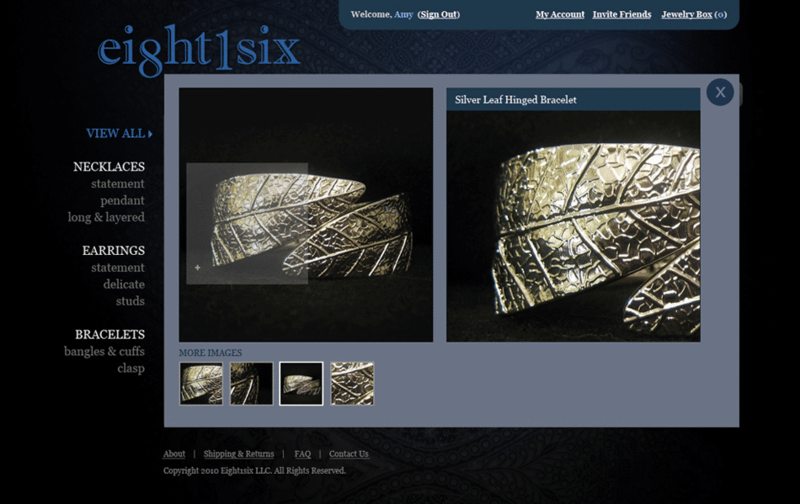 From initial planning and strategy once designs were provided to the QA/Testing and launch, we fully developed this custom solution for team eight1six. 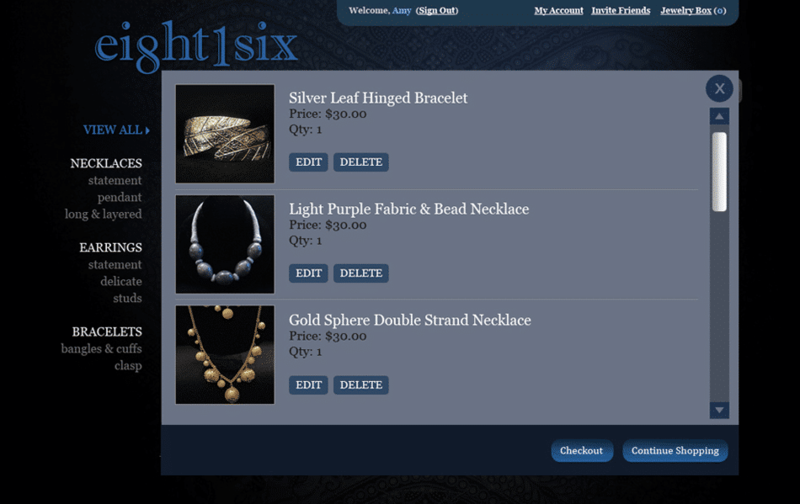 One of the more exciting aspects of this web app development project is that as a result of what we did building a successful web app, the eight1six team then raised/win a $1.1 Million Series A funding round for their business which allowed them to grow their business into a well known eTailer brand called BaubleBar.